This guide is for graduating third year students of the University of Cincinnati College of Law. It describes access to the library, its resources, and its services once you graduate. This guide is intended to introduce you to the many ways that the Law Library can assist new graduates. While the primary mission of the Robert S. Marx Law Library is to support research, scholarship, and learning for faculty and students in the College of Law, the Law Library also makes many of its resources available to members of the University of Cincinnati community, and the local bench and bar. After you graduate, your UC ID (Bearcat Card) will allow you access to the building and the Law Library during the summer. Your 24/7 access will end after the summer that you graduate. Once your swipe card access ends, alumni visitors may gain access to the Law Library during normal hours of operation for the purpose of performing legal research or accessing U.S. Federal Depository resources held by the Library. Alumni visitors to the College of Law during regular business hours (8:00am -- 5:00pm) should enter through the Clifton Avenue doors. Visitors with ADA issues can use the sliding glass doors at the back of the building. This service is only available during hours that the Law Library is open. The Law Library's hours of operation vary during holidays. For that reason, we advise non-lawschool patrons to telephone the Law Library at 513-556-0163 in advance of their visit to confirm that the Law Library is open. 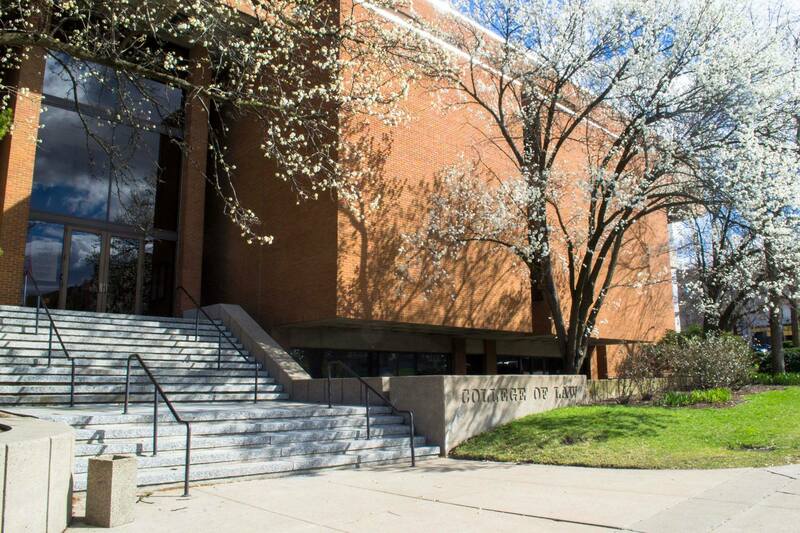 Law Library hours are also posted on the College of Law website at https://law.uc.edu/education/library.html. Take advantage of Reference Librarian expertise! To consult with a reference librarian, please use this form. Also, don't forget the Library's Web page and many research guides. What Electronic Resources Can Alumni Access? Alumni may access UCLID, the University's online catalog, selected Law Library and University databases, or U.S. Federal Depository resources on the web through the three public computers in the Library. 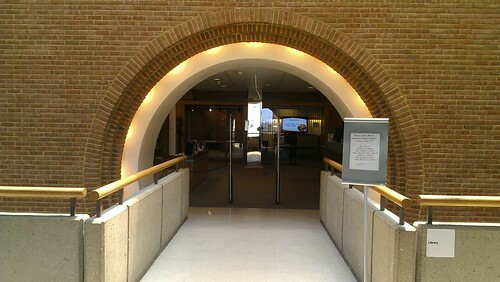 Alumni also have access to a limited selection of Westlaw databases through a dedicated computer located on the third floor of the Law Library. While this service does not provide access to all Westlaw databases, it does provide access to federal and state primary legal materials, as well as KeyCite. Due to license restrictions, we cannot offer access to Lexis Advance, Westlaw (other than through the Westlaw Public Access terminal), or B-Law. Due to license restrictions, we also cannot offer off-campus access to databases to graduates. Library accounts will expire in March 2020. Once your library account expires you will no longer have the ability to check out books unless you become a community borrower or you are a member of an OhioLINK or Search Ohio library. The Public Library of Cincinnati and Hamilton County is a Search Ohio library. Information on becoming a community borrower and borrowing privileges can be found at http://www.libraries.uc.edu/services/borrow-circulation.html. Library materials not checked out may be used within the Library during regular hours. Under certain circumstances, an I.D. will be required to use materials on the premises. Photocopiers are available in the Library for the use of all patrons. Where Else Can You Go for Resources? Local alumni needing remote access to databases such as ALI-ABA Practical Lawyer, FastCase treatises, Ebsco, HeinOnline, Fastcase, and CCH may want to become subscribers the the Hamilton County Law Library. The Hamilton County Law Library also provides on-site access to print resources, BNA, Ohio Capital Connection, Lexis, and Westlaw for its subscribers. You can see a complete list of their services and information on how to join at http://lawlibrary.hamiltoncountyohio.gov/services/. Current UC policy allows alumni continued access to their UConnect e-mail accounts. Your student email account will remain active as long as you are enrolled as a student at UC. After you graduate or leave the University, you may continue to use your student email account for as long as you wish, as long as you log into the account at least once every 12 months. Access to Law Library computer lab accounts will end a year after graduation. Any UC/College print subsidy will be wiped the week before Intro to Law week (Intro to Law begins August 12, 2019). For a refund on any money that has been put onto a Bearcat card, alumni will need to submit a written request to the Bearcat Card Services Office. A $5.00 processing fee will be deducted from the refund. The Law Library provides a photocopier and a scanner for public use. The photocopy machine accepts copy cards that are available for $1.00 through vending machines near the copiers. These cards reduce the per-copy cost to $.07. The cards are issued with a $.50 balance, and value may be added at any copier. Otherwise, copies are $.10 each, and the machine accepts coins and one dollar and five dollar bills. The Library Circulation Desk does not have change. Our cards do not work in any other UC library, and cards from other UC libraries will not work in our copiers. The scanner does not print but allows you to scan materials that you can then email, upload to the cloud, or save to a USB. Microform readers and reader printers are available for patrons to use at no charge. Notice: The copyright law of the United States (Title 17, U.S. Code) governs the making of photocopies or other reproductions of copyrighted material; the person using library equipment is liable for any infringement. Graduating law students may use Law Library Study Rooms to study for the bar. Access to study rooms for students taking the summer bar exam ends after the bar exam. Carrels will be cleaned out at the end of May. Please make sure you retrieve any personal items and papers before this date. If you are interested in a carrel for summer bar study, please contact susan.boland@uc.edu.